Come rain or shine promotional parasol could answer your prays! The weather this week is what we have come to expect here in the UK… Blazing hot sunshine, showers and torrential rain all in the space of a day! 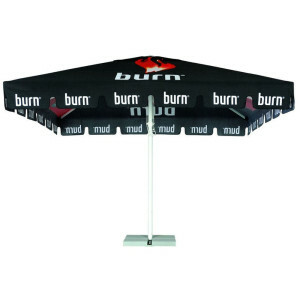 If you have an event coming up a branded parasol might just save the day. Not only great protection against the elements, whatever they are, but also a professional way of communicating your brand. Starting with the basics, our branded parasols are have UV protection and are fully water resistant so your guests will be completely protected and looked after. Moving onto your branding, we can design a fully branded parasol bespoke to your company, including your logo and specific artwork all for free! We have pretty much any colour canopy that you might wish for – and if we don’t have the exactly right colour we can Pantone match the colour for you. We can keep it simple and print your logo on 2, 4 or all 8 of the panels, or we can do a full print across some or all of the panels like this Heineken parasol. Let you imagination run wild and get your brand noticed! And best of all, we can supply you with just two or three parasols or hundreds! Whatever the size of the event we can help you out. But remember don’t leave it to late, we can turn them around quickly but the longer we have, often the cheaper they become! 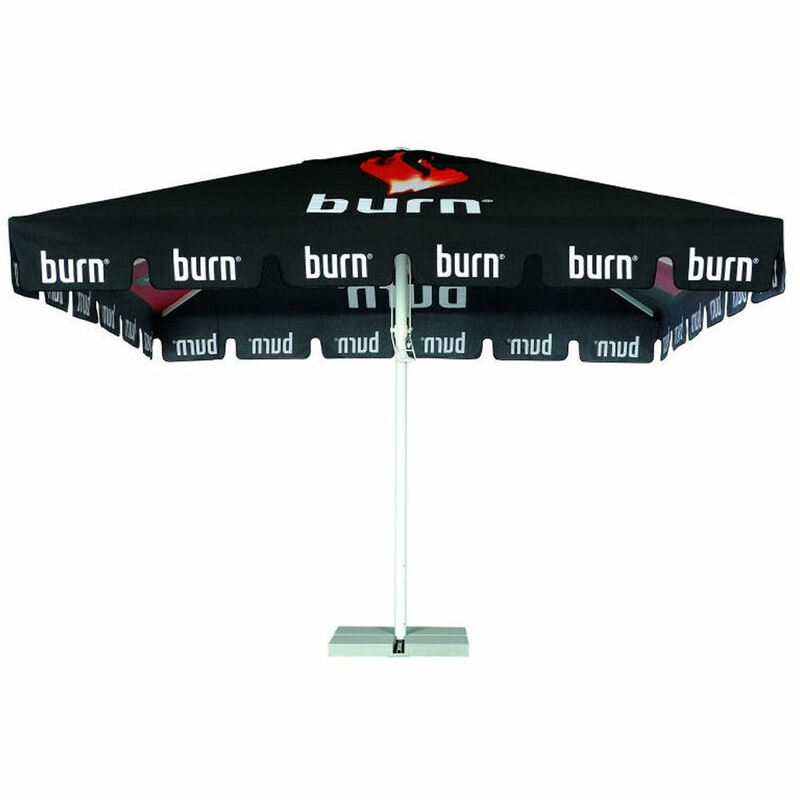 So the moral of the story is don’t let the British weather ruin your event – invest in a set of branded parasols! ← Want a Company Umbrella But Not Sure Where to Start?